Well I've got two unnamed as yet and none raced. Not the best of stables this season. Thx for the update Gay, and ongoing work Dizzy. None of my 3yo and after types have been tried yet, which is just the way i like it. . Hopefully by this time next year they have come into their own. You've certainly picked the staying types Vivarchi. Hope your patience is rewarded. Could be worst if it was off to South Africa SC. macau has far better prizemoney. Interesting that Joe Pride has ended up with my SYT colt. Paul Maroney bought him . That makes 2 of my stable, a High Chap and a SYT, in the Pride yard. He's had a few of the High Chap & sons breed lately. Nice to see my I Am Invin. 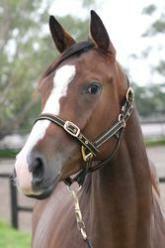 - Defy the Odds half brother win the SA Derby , Waller buyer for 170k, cheap filly? Maybe, but Leicester was only $10k himself. Not now lol, luck's a fortune . Good luck. You did have an Oaks placegetter this year so you might just like those middle distance types. I think we all like to see our picks perform, it's good fun imo. Yep my two year old stable is very backwards this year. Hence my trouble deciding this year. Gee I hope Reprise can gallop. Great for three stables to get a good one. Just looked its one I'm following at home so good luck guys. I'll be cheering also. Reprise is listed as Deceased furious..
oh dear that's sad had a nice pedigree and its always good to see on in a few stables. I had a shocker picking in 2017 after a brilliant year the two years before.